Visitors to this web site are bound by the following terms and conditions so please read these carefully before registering or placing orders. This web site contains material including text, photographs, logos and other images which is protected by copyright and/or other intellectual property rights. Laporsa Tile Distributors Ltd or its subsidiaries or have been licensed to it by the owner(s) of those rights so that it can use this material as part of this web site. Laporsa Tile Distributors Ltd emblem. 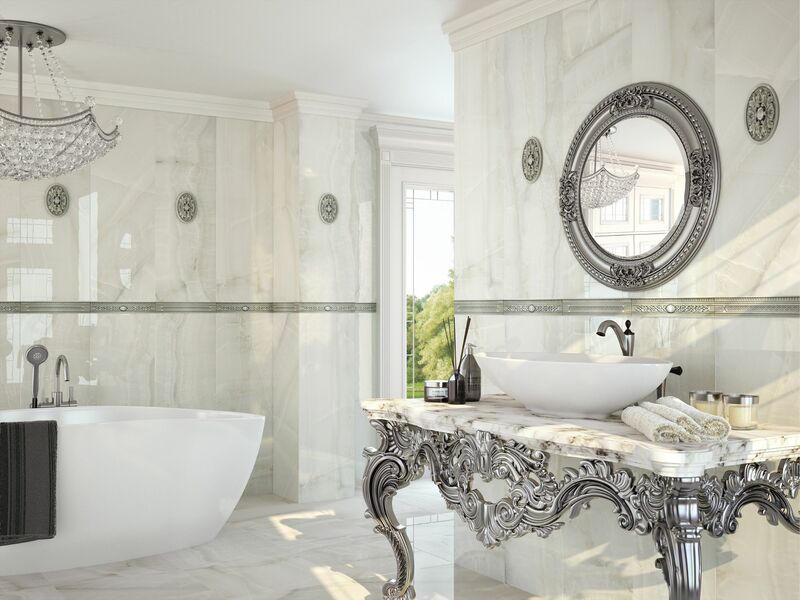 All trademarks included on this web site belong to Laporsa Tile Distributors Ltd or have been licensed to it by the owner(s) of those trade marks for use on this web site. Access any part of the web site; print off one copy of any or all of the pages for your own personal reference. You may not without our express written consent: copy (whether by printing off onto paper, storing on disk, downloading or in any other way), distribute (including distributing copies), broadcast, alter or tamper with in any way or otherwise use any material contained in the web site except as set out under "You may". If you wish to provide a hypertext or other link to this web site, please contact the top site editor with details of: the URL(s) of the web page(s) from which you are proposing to link to this web site the URL(s) of the web page(s) on this web site to which you are proposing to and we will consider your request. It is our decision as to whether we agree to your request and we do not have to do so. Laporsa Tile Distributors Ltd may change the terms and conditions and disclaimer set out above from time to time. By browsing this web site you are accepting that you are bound by the current terms and conditions and disclaimer and so you should check these each time you revisit the site. Laporsa Tile Distributors Ltd may change the format and content of this web site at any time including delivery charges and pricing at anytime without any notice. Laporsa Tile Distributors Ltd may suspend the operation of this web site for support or maintenance work, in order to update the content or for any other reason. Laporsa Tile Distributors Ltd reserves the right to terminate access to this web site at any time and without notice. If you have a question or complaint about this web site, please contact the Laporsa web site Editor from the contact page and choose webmaster. Jurisdiction: These terms and conditions are governed by and to be interpreted in accordance with English law and in the event of any dispute arising in relation to these terms and conditions or any dispute arising in relation to the web site whether in contract or tort or otherwise the English courts will have non-exclusive jurisdiction over such dispute. 1.1 "The Company" means Laporsa Tile Distributors Ltd.
2. The contract between The Company & the customer. 2.1 By placing an order the customer agrees to be bound by and accept these terms and conditions. 2.2 These conditions shall apply to all contracts for the sale of goods by The Company to the exclusion of all other terms and conditions, including any terms supplied by the customer at the time. 3.1 Unless otherwise stated in writing all quotations and estimates by The Company may be withdrawn at any time before receipt of an order. 3.2 Prices quoted are not fixed unless agreed in writing by a company signatory. 4.1 The Company reserve the right to adjust prices, offers, goods and specifications of goods on the website at its discretion at any time before accepting an order. 4.2 The customer shall be responsible to The Company for ensuring the accuracy of the terms of any order and any applicable specification. 4.3 Whilst every effort is made to exactly match the products on the website, The Company cannot guarantee a 100% match if matching from photos displayed on the website due to the variation in monitor settings, cameras that was used to take the pictures, light variation and others. The Company would advise customers request a sample before placing an order. In the event a customer refuses to have a sample provided, the customer forfeits any right to refuse a delivery or seek a refund in the event that the goods are incorrect. Samples: When you order samples, only one piece of sample will be sent no matter how many you add to the basket. One piece of sample is all that you need to see the quality and color of a tile. The system might allow you to order more than one sample of the same product, however only one will be sent. 4.4 The placing of an order by the customer, must be accompanied by sufficient information to enable The Company to proceed with the order, otherwise The Company cancel the order and issue a refund if the payment was already processed. 4.5 The quantity, quality and description of the goods shall be those set out in a quotation or in the delivery note. 4.6 The customer Cannot cancel the order once the goods have been dispatched. 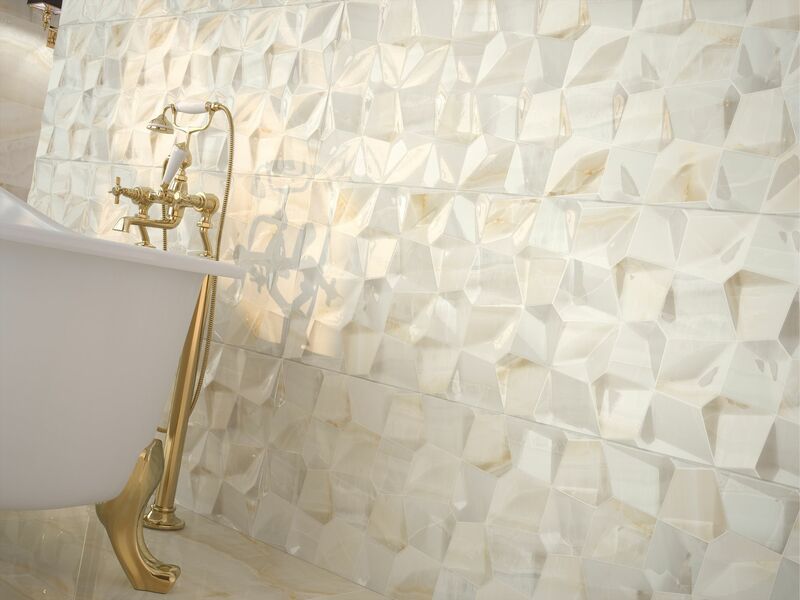 4.7 We cannot guarantee the exact match of color and texture from the sample as the nature of the tile manufacturing. Tiles could have some variation from the sample seen prior to delivery. Laporsa will not offer any refund based on that, only if a sample was requested of the same shade that to be delivered and the difference between the freshly requested sample is very noticable. 4.8 Laporsa Tile Distributors Ltd, does not and will not pay any labour or compensation and any other fees or charges because of any fault in the tiles supplied after they have been laid and tiles. 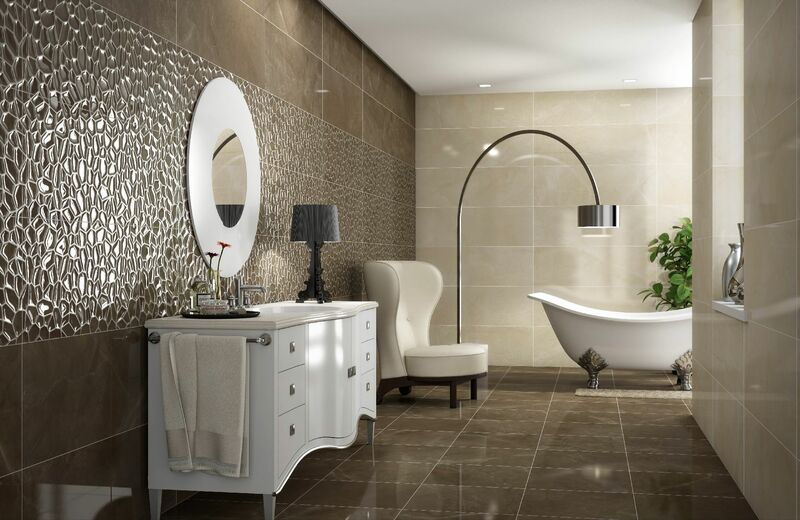 Once the tiles are fixed to the wall or floor, the customer take the responsibility of acceptance of the tiles as they are. All the tiles should be checked one by one and very carefully before fixing them to the walls of floors. By ordering tiles from us, you agree to our terms and conditions. 4.9 Laporsa Tile Distributors Ltd, remains the sole owner of the goods until they are paid in full. Until such time and while the customer is arranging for payment The Company shall be entitled at any time to require delivery of the goods back to it's premises and, if the customer fails to do so forthwith, to enter upon any premises of the customer or any third party where the goods are stored and repossess the goods. 5.1 Deliveries are made Monday - Saturday between 08:00 and 17:30 (excluding bank holidays) The Company offers timed deliveries at additional cost. 5.2 All deliveries will be delivered to the address stated on the order and only a kerbside delivery can be guaranteed. The Company or its agents will do their best to deliver closer to the property if access allows. Delivery will not include carrying materials up paths or to rear gardens. 5.3 Access to sites must be on hard roads over which a vehicle can pass without sustaining or causing damage of any kind. It is the customer's responsibility to let The Company know if there are any access difficulties, low bridges, narrow single lanes, weight limit roads, steep driveways or hills. The customer must also inform The Company if they have a gravel driveway as pump trucks cannot be used. If The Company or its agents cannot gain access to the delivery address then additional costs may be incurred. 5.5 If no one is available at the address at the time of delivery, the driver will retain the goods, and The Company will await further instructions. Please note: there may be an additional charge for re-delivery, which must be paid before re-delivery. 5.6 The Company shall not be liable for any losses, costs, damages or expenses incurred by the customer or any third party arising directly or indirectly out of any failure to meet any estimated delivery date. 5.7 The customer must examine the products immediately upon delivery, and before signing the delivery note and in all cases inform the company if delivery of any damage or shortages. 5.9 The Company will replace damaged goods free of charge provided it was noted during inspection before signing the delivery note. 5.11 Once delivered no goods may be returned to The Company. 5.12 Charges are non refundable. 5.13 If for any other reason products to be returned, there is a restocking charge of 30% of the value of the products payable in addition to the shipping fees and collection. 5.14 Although Laporsa Tile Distributors Ltd aims to deliver the goods on a date agreed, failure of any kind of delivery on a specific assigned or agreed date shall not result in any claim. 6.1 The Company reserves the right by giving notice to the customer at any time before delivery, to increase the price of the goods to reflect any increase in the cost to The Company which is due to any factor beyond The Company's control (such as, without limitation, any foreign exchange fluctuation, currency regulation, alternation of duties, significant increase in the costs of labour, materials, haulage or other costs), any change in delivery dates, quantities or specifications for the goods which is requested by the customer, or any delay caused by the customers instructions or the customers failure to give The Company adequate information or instructions. 7.1 Payment must be received before despatch of the goods. 7.2 The customer must provide identification for all credit/debit card payments. 7.3 The customer confirms that the credit/debit card that is being used is theirs. All credit/debit cardholders are subject to validation checks and authorisation by the card issuer. If the issuer of the card refuses to authorise payment The Company will not accept the order and will not be liable for any delay or non-delivery. The Company is not obliged to inform the customer of the reason for the refusal. 7.4 The Company is not responsible for the customer's card issuer or bank charging the customer as a result of The Company processing the customer's credit/debit card payment in accordance with the order. 7.5 The customer shall not have a right of counterclaim, discount, abatement or otherwise nor to withhold payments properly due to The Company in the event of any dispute with The Company. 7.6 During checkout the cart summary is automatically created. Proceeding with the order after checking the cart summary and proceeding to payment is an acceptance to Laporsa Tile Distributors Ltd's quotation which will negate any advertised offers elsewhere and voids any claims made on a later stage of over-charging. 7.7 All credit accounts must pay invoices by the end of month plus 30 days from date of order. 7.8 Laporsa tiles reserves the right to pass any debts onto debt collection agency or solictors without prior notice. 7.9 Laporsa tiles reserves the right to charge interest on any account that is overdue. 8.1 Unless otherwise stated title to the goods passes to the customer upon delivery of the goods. (ii) If they customer wrongfully fails to take delivery of the goods, the time when The Company have tendered delivery of the goods. 8.3 Until such time as the property in the goods passes to the customer (and provided the goods are still in existence and have not been re-sold), The Company shall be entitled at any time to require delivery of the goods back to it's premises and, if the customer fails to do so forthwith, to enter upon any premises of the customer or any third party where the goods are stored and repossess the goods. All descriptions and samples of goods are approximate only and are intended to serve as a guide. The Company shall not be liable to the customer for their accuracy. sizes are approximate only and may not be 100% precise. An approximate 0.5% tolerance should be considered before purchasing. If you are not sure if our products meet your requirements, please contact us for exact data sheets for each product that you are going to purchase before ordering and surely before fixing it. The Company accepts no liability for any failure to deliver goods to the customer arising from circumstances outside of The Company's control as in force majeur or act of God. These terms and conditions cannot be varied except in writing signed by a director of The Company. Nothing said by any member of staff on behalf of The Company should be understood as a variation of these terms and conditions or as an authorised representation about the nature or quality of any goods offered for sale by The Company. The Company shall have no liability for any such representation being untrue or misleading.